Womens Double Buckle Hand Crafted Genuine Leather. Genuine Leather Strap, 1" = 25mm wide Leather Belt. Removable Strap With Metal Tips. Matching Keepers on each Side. 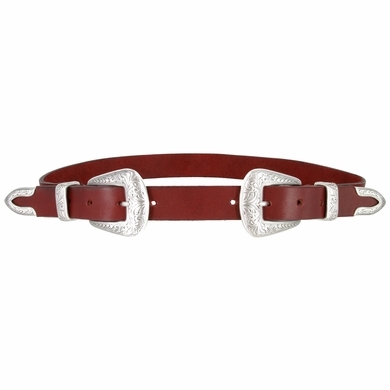 Belt Strap has 8 Holes, 4 on each side for great versatility. Belt is Handmade and Handcut in the USA.